Tuesday’s presidential election in the United States is without doubt a vote of historic and immense importance. The result will determine what type of country America will be and how it will engage with the world. 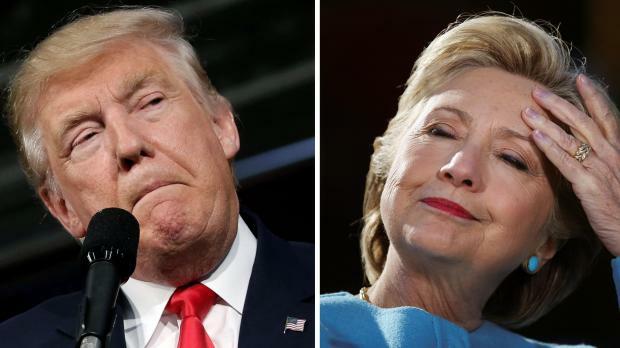 The choice is between Democrat Hillary Clinton – a former First Lady, Senator and Secretary of State – and Republican Donald Trump, a businessman turned populist politician. While it is true that many American voters are not enthusiastic about either of the candidates, there is no doubt at all that Clinton is by far the better choice of the two. She has both the temperament and experience to serve in the Oval Office and most of her policies are reasonable, fair and based on common sense. Crucially, she believes in America’s global role as well as multilateral engagement. Yes, she could have been more transparent about the Clinton Foundation and her e-mail investigation, but these issues pale into insignificance when compared to what Trump stands for. He has poisoned the atmosphere in American politics. He is a divisive figure who has insulted Muslims, blacks, women, Hispanics, the disabled and anyone who disagrees with him. He has neither the character nor the understanding of what the job entails and has lied consistently throughout the campaign. And his criticism of Barack Obama, who leaves office with record high ratings, has been both outrageous and shameful. This is not a normal American election, neither is it a choice between a liberal and a conservative, or Democrat and Republican. It is a choice between someone who believes in America’s diversity as a source of strength and someone who plays on people’s fears and has rekindled racist sentiment in America. It is a choice between a safe pair of hands and a leap in the dark. Voters simply cannot afford to make the wrong choice and they will hopefully ignore the diversion created by the FBI’s vague announcement – 11 days before the election – about a new probe linked to Clinton’s e-mails which came to light during a separate inquiry. The international community is watching this contest with great anxiety. Never before has one of the candidates in an American presidential election caused so much apprehension as a result of his outrageous and vulgar outbursts, cheap populist rhetoric and distinct lack of knowledge of geopolitical issues. Trump truly represents the very worst of America. He has damaged American democracy (as well as his Republican Party) by suggesting the elections will be rigged and by failing to confirm that he will accept the final result. He even claimed Clinton would be in jail if he had been in charge of law and order, and promised, if elected, to appoint a special prosecutor to look into the e-mail allegations, when such a prerogative belongs to the Justice Department and not the Oval Office. For us in Europe, and also for the rest of the world, a victory by Trump would be a most worrying development. He has undermined Nato and equates Islam with terrorism. He opposes the Iran nuclear accord and the Paris Climate Agreement. He has expressed admiration for Russian President Vladimir Putin, suggested that Japan, South Korea and Saudi Arabia should acquire nuclear weapons and promised to tear up a number of international trade agreements the US is a signatory to. Such a combination of factors would create a huge political and economic shock to our already fragile global order. The result is expected to be close, but we sincerely hope that common sense prevails and American voters make the right choice and elect Clinton as their next President. The alternative is simply too dreadful to contemplate.